In TR Old Ebonheart is center of Imperial civilisation in Morrowind province. This is a huge Imperial city – and fully Imperial, without alien parts. But in lore this was a Dunmer city http://www.uesp.net/wiki/Lore:Ebonheart . It was a capital city sometimes. TR had lore topics about why it was dunmer city and become fully Imperial? Or in game we will be visit some ruins of old old Ebonheart? Yeah, we will deal with that topic. Basically, Old Ebonheart was a major Indoril site, but like many Indoril sites near and to the west of the Thirr it was lost to them in the chaos following the Armistice, and the Imperials ended up getting the land, a fact the Indoril have failed to get to terms with. Empire destroy all old buildings in the city, or player can find some ruins near the OE? On seafloor maybe. There are a limited amount of ruins under the city, but we may add more. What exactly happened to the Dunmer Noble families of Ebonheart, like the ancient Ra’Athim family? And what happened to the kingship of Ebonheart that was there during the simulacrum ? Was the king a duke-gone-rogue, and replaced by whomever rules Old Ebonheart now? It is obvious that Ebonheart haven’t always been a city that fully supports the empire in the past. They joined Potema during the War of the Red Diamond in spite of Mournhold and their imperial allies even tough TR depicts ebonheart as being a fully imperial controlled city since the Armistice, so what changed ? I am afraid there’s no definitive answer to your question. Basically two major events drastically affected the Raathim and the other noble families of Old Ebonheart. First event was the War of the First Council and the rise of the Tribunal, which completely revamped the Dunmer society and basically ended the reign of so-called Raathim kings. The Great House system replaced the Chimer city-states and the like, and the Raathim became a lesser house within House Hlaalu (and possibly Indoril). OE’s importance wanes after Mournhold is rebuilt and Almalexia makes it her capital. Around this time Old Ebonheart becomes an Indoril estate. The second event is the Armistice. The Indoril nobles of OE would not yield to Imperial rule and instead chose to burn the city to the ground – and themselves with it. So, most of Dark Elven nobles died with the city. Afterwards the city was rebuilt by the Empire and some relatively puppet-y Raathim family member was made the lord of OE by Tiber Septim. In our version of OE even that ruling branch has died out – it went extinct after Katariah Septim’s and her son's death – and only whispers of Raathims in Old Ebonheart exist. The War of the Red Diamond was a civil war and siding with Potema was effectively a proxy war against the city of Mournhold (both cities being ruled by rivaling Raathim branches at the time). [And of course the book War of the Red Diamond was written before Morrowind which IMO calls its relevance into question.] The Simulacrum Era is weird and murky: the kings of Morrowind present in Arena could be retroactively interpreted as self-styled ‘kings’, local administrators who seized the times' opportunity to gain more personal power, or they could be ignored as relatively unimportant pieces of old and irrelevant Lore. The vanilla Morrowind and the Tribunal expansion never did try to reconcile old Daggerfall and Arena lore with theirs – IMO – even when they featured characters and locations from those games. That’s why I’d be inclined to say that it’s not a terrible thing if we never come up with a definitive answer to the Raathim/kings of OE question. Yeah I agree! And also, where were you when the dragon broke? Raathim was a fairly important House based in Old Ebonheart before the War of the First Council which may have had a rivalry with House Indoril of Mournhold. Raathim had several holdings, the most distant being near Narsis. House Indoril existed before the War of the First Council, Indoril Laesa (Almalexia) being a member of that family. Nerevar married into the House (specifically marrying Indoril Laesa) under false pretenses, becoming Indoril Nerevar. Indoril Nerevar would bring great changes to his House, and after his death even greater changes followed. Indoril, being dominated by Nerevar’s friends and companions at the time, was the first to embrace the Tribunal, and began spreading its message right away. In doing this, they rode the wave of change that was sweeping Morrowind, and swallowed up Houses and territories under their ever-expanding hegemony as they went. Raathim could well have been the most important of those Houses, and they may well have resisted total assimilation into House Indoril, clinging on to their own prestigious identity. This finally fell apart with the Armistice. The main branch of the Raathim that ruled Old Ebonheart effectively committed suicide, leaving Old Ebonheart to the Imperials. (This is alluded to in the opening of The Real Barenziah, which is told from a much later Imperial perspective). The remnants of the family were Barenziah, who the Imperials took under their wing, and the Narsis branch, who had become part of the cooperative House Hlaalu. The Empire didn’t miss their chance to capitalize on having such a powerful local family in their effective control and ‘reinstated them’ (to a degree this may have been a genuine misunderstanding of Morrowind’s House system on their part, and certainly their propaganda solidly established that misunderstanding in the popular imagination) as the royal family of Morrowind, in western fashion. Barenziah was, as such, the first actual monarch of the Raathim family. All former ‘kings’ were simply leaders of House Raathim. All Raathims since the Armistice aside from Barenziah and her children probably came from the Narsis branch, though parts of that branch may have moved back to their ancestral holding in Old Ebonheart. Thank’s for clearing it up! I was a tad bit worried TR had neglected the very existance of the Ebonheart Raathim branch when i found no reference to them at all in-game. Im glad i was wrong. And it would make sense that they died out with Katariah and her son if that were the case. I have two questions regarding TR’s interpretation of history of Old Ebonheart. Both TR sources that Rats linked here mention that Old Ebonheart was burned after the Armistice. And Gnomey even mentioned that the opening of The Real Barenziah alludes to this event. However, I failed to find that reference. Neither The Real Barenziah, nor the imperial version of Barenziah’s biography mention anything like that. The closest thing I found is “The great noble families had been destroyed in the war and its aftermath”, and there is also a mention of Ebonheart being “sucked dry”, but it’s not clear what exactly is meant by that, and there’s no fire mentioned. If Gnomey is reading this, can you please be more specific? Second, I’m really unhappy with the way gro-Dhal wrote the in-game book “Ebonheart: A History”, as it appears to contain rather serious contradictions with lore. Ironically, the Rats’s timeline linked here is much more accurate – aside from the reference to burning of Ebonheart that I failed to find and a few other minor details, it is virtually perfectly accurate, as long as you ignore the highlights in green that are obviously not supported by anything in vanilla Morrowind. As Rats noted, the lore about Ebonheart comes primarily from two sources: the books “King Edward” and “The Real Barenziah”. “King Edward” is probably not entirely accurate, as it is written like a fiction story adapted from Dunmeri legend for Imperial readers. Not only Moraelyn is portrayed ridiculously awesome in that book, he is also described as a “Dark Elf” despite the fact that he supposedly never lived past The War of The First Council and thus had to be Chimer. Nevertheless, I still believe that we can trust the relevant bits of lore present in that book. The Real Barenziah, however, is most likely as accurate as Barenziah herself in terms of knowledge of Morrowind’s history, as its author is an in-game character present in Tribunal expansion. He is a close friend of Barenziah, and he must’ve wrote this book using the information she shared in private conversations. The Daggerfall quest seems to contradict this, but a sufficient excuse was given as to why the scribe is still alive, and the validity of biography confirmed. The “Ebonheart: A History” book seems to use some lore from The Real Barenziah, but while using some parts of it, it weirdly contradicts some other parts. It says that Ra’athim family (yes, family, or clan, but not the house, if the Interview With Three Booksellers is to be believed) was on the peak of its prosperity sometime after The War of the First Council, “growing powerful enough to rival the mighty philosopher-princes of House Indoril and the muck-magnates of House Hlaalu”. In fact, the text is structured in such a way that it gives off an impression as though Ra’athim family was in no way significant all the way up until the beginning of Second Era. I find that particularly weird, as it suggests that there was a period of time when Ebonheart’s rivalry with Mournhold did not involve Ra’athim family at all, which is not likely to be the case, as I explain below. Pocket Guide to the Empire, 3rd Edition clearly states that the Nords were driven out of Morrowind in 1E 416, before the War of the First Council. According to “King Edward”, Moraelyn’s father and brothers (all of them being Ra’athim) played a significant part in this guerilla warfare. And the text says that they did not just retake Ebonheart from the Nords – before that they were “driven out of Ebonheart”, so they were just retaking what they already had. So we know for a fact that Ra’athim ruled in Ebonheart at least since 1E 416, most likely even since a couple of centuries earlier. They might not have been the “Kings” in Imperial sense of the word, but they clearly were a ruling family. The Real Barenziah gives another important account on the history of Ebonheart. Basically, Mournhold was a part of Ra’athim holdings, and only after the strife between Moraelyn’s grandsons Mournhold separated from Ebonheart and became an independent city-state, an event that most likely split Ra’athim clan into major independent Ebonheart branch and minor Mournhold branch that joined House Indoril later on. About the same time Ra’athim’s power was further undermined by the beginning of the War of the First Council, as the text mentions that “the office of High King was vacated in favor of a temporary War Leader (that will be known later as Indoril Nerevar) to be named by a council in times of provincial emergency”. After the war the system of the Great Houses was introduced, and the Ra’athim clan, no longer having a ruling status, had to reform itself into House Mora. That’s when the rivalry between Ebonheart and Mournhold actually began, after the emergence of the Tribunal, and after the Ra’athim clan was on the peak of its power. After that, the power of House Mora continued to wane throughout centuries, until it had no choice but to be integrated into House Hlaalu. The “Ebonheart: A History” suggests directly the opposite, despite using the fact that the said rivalry existed from the same source. Knowing all of this, the statement that “house” Ra’athim grew to be a rival of Indoril and Hlaalu during the Second Era (the latter one never being particularly powerful all the way until the Septim Empire) sounds rather ridiculous. Especially considering that Ra’athim family had a great influence on Khimeri people before these houses even existed. So I suggest the TR team to rewrite the book in a way that does not contradict the mentioned lore. I can even do it myself, if you want me to. I would also like to add some of the observations Gnomey made. Perhaps it would be better to write a book about Ra’athim themselves, rather than about the city, as their histories overlap to the point of being nearly interchangeable. I will keep in mind that all of this is told from Imperial perspective, of course. Those are some excellent questions that would warrant a longer answer than "this is just TR's take on the lore; we knowingly ignore some of the old lore and make up new stuff as we go along". I'm afraid that's all I've got, though. In response to the inaccuracies in gro-Dhal's "Ebonheart: A History" I have two points. First is the obvious one: the author is fallible. Second point is a bit more meta (and something that I have a little trouble to put into words in English, but I'll try). The book is not meant to be an actual lore piece, like the ones you can find on r/teslore. It's meant to be an in-game book that the player character can read in the game. Its job is to stand on its own feet as a good and compelling piece of writing (which I think it does: gro-Dhal writes these books better than any modder I've ever known) and to help create and reinforce TR's own vision/version of Old Ebonheart (which it also does). In my opinion it is more part of the gameplay than it is an actual text about the Elder Scrolls universe. I am extremely reluctant to make any changes to this particular book. That being said any new books on House Raathim would be most welcome! The Real Barenziah indeed doesn't make a direct reference to Ebonheart being destroyed in any way, though looking at it again I may have misread "[...] Barenziah was shaken awake by her nurse, dressed hurriedly and carried from the palace. All she remembered of that dreadful time was seeing a huge shadow with burning eyes that filled the sky." and thought it did. The series does describe general destruction following the 'war and its aftermath', and Barenziah fleeing Ebonheart. Ebonheart being burned is TR lore, to explain how Ebonheart ended up as an Imperial settlement despite having a long history as a Dunmer settlement, as described in The Real Barenziah. The idea that Ebonheart may have fallen in the 'war' is not incompatible with other information in The Real Barenziah, so it seems like a reasonable and convenient extrapolation/expansion of existing lore. Now here things get convoluted. The first question is why Old Ebonheart is an Imperial settlement. I can only assume TR decided to be consistent with Bethesda's Ebonheart being Imperial, because Bethesda's apparent plan (I'm not sure if that map was available and known when TR made these decisions) was for the settlement to be Hlaalu. The decision for Old Ebonheart to be Imperial was probably also made before Tribunal came out, so before TR had an 'Indoril' tileset. As such, making it Indoril may not have been considered an option at the time, for all I know. In the old days of TR there was a lot of back and forth as to what faction affiliation settlements should have, and in hindsight I wouldn't really agree with some of the final decisions, but we're pretty much commited to them at this point. What I would say now is that in-game tilesets are as much gameplay convention as anything else; tilesets indicate faction affiliation, not necessarily how the settlement 'would really look', so Old Ebonheart looks like an Imperial city in-game because it's controlled by the Empire directly, not necessarily because the original settlement somehow was lost and a new one built in the Imperial style. That excuse doesn't really work well for exceptional cases like Old Ebonheart, though, in my opinion, and the excuse wasn't around when the idea of Ebonheart burning down first came up. Long story short, Ebonheart burning down is a solution to a problem TR (or arguably Morrowind-era Bethesda) created. Next question is why TR even has an Old Ebonheart when Ebonheart already exists, simply moved to Vvardenfell. The answer there is pretty straightforward, as far as I know (a lot of this was decided on before I joined, and I joined in 2005): Ebonheart-on-Vvardenfell is underwhelming compared to the reputation Ebonheart has in lore, and TR wanted to do the settlement justice. Also, especially back then, TR had a tendency to bend over backwards to adhere to lore (such as old maps) even when Bethesda had retconned it. So again, in a way TR was creating its own problem here; it could have just rolled with Bethesda's retcon of Ebonheart being a castle on Vvardenfell and avoided this whole issue. But that probably wouldn't have been a popular decision, then or now (even without having a near-complete and excellent Old Ebonheart). So we have two Ebonhearts and feel the need to justify both of their existences in their current form. Next, we have the issue of the 'war'. Here, TR originally followed Daggerfall-era lore, which indicates that there was a war before signing the Armistice. That lead to the pretty straightforward idea that Ebonheart fell in the war, and an Imperial settlement built in its place. The issue is that, as clearly explained in the in-game book On Morrowid, the Imperial Province, there was no real war according to Morrowind-era lore. There were border skirmishes, then Vivec signed the Armistice specifically to avoid a big war, and then after that there was in-fighting and a big Hlaalu land-grab in the fallout of the Armistice. The border skirmishes couldn't explain how Ebonheart fell, but the Indoril suicide is more promising in that regard. That's probably how Bethesda would have explained Ebonheart being a Hlaalu settlement going by their Morrowind concept map, but again, TR had already decided to make Old Ebonheart Imperial, so we said that the Imperials got the land instead. Again, us dealing with messes largely -- but not only -- of our own creation. Here, we get to a point where several TR members increasingly had the opinion that Bethesda had already retconned a lot of Daggerfall lore, and a lot of it wasn't necessarily worth keeping anyway, as it doesn't fit the tone and lore of a post 1st PGE Morrowind. Morrowind as we recognize it now was mostly hammered out in the years between Daggerfall's release and Morrowind's release. Daggerfall-era Morrowind seems to have been a much less alien place; I remember reading a developer quote that, early during Morrowind's conceptualization, the plan for the province was a sort of Elizabethan England with intrigue and backstabbing and fancy dresses, though I'm admittedly having trouble finding that quote again. The Real Barenziah quote about the office of High King being vacated in favour of a temporary War Leader is contradicted by the War of the First Council, which states that the First Council "was the first pan-Dunmer governing body", and runs counter to the entire significance of Nerevar as the one who united the warring clans. An easy solution to those contradictions is to favour the Morrowind sources, which are more current, and generally told from an impartial or Dunmer perspective, over the Daggerfall-era books, King Edward being a work of historical (at best) fiction and The Real Barenziah and its author having an established dubious reputation. I suspect gro-Dahl may have gone a step further -- as I think the tendency of TR was when that book was written -- and may have taken the stance that Daggerfall-era Lore (at least concerning Morrowind) should not be adopted by default, but only needs to be incorporated insofar as it fits and we want to use it; basically TR's stance to the lore of later games. As such, his history may have been an intentional attempt at a retcon of Ebonheart's history. That said, by writing it from a dubious Imperial perspective, he left a lot of room for inaccuracy, so even if we decide to adhere more closely to Daggerfall lore I don't see it as a problem. My own tendency is to try and keep as much of the Daggerfall lore as possible, but reinterpret it in a way that better fits the tone of Morrowind. 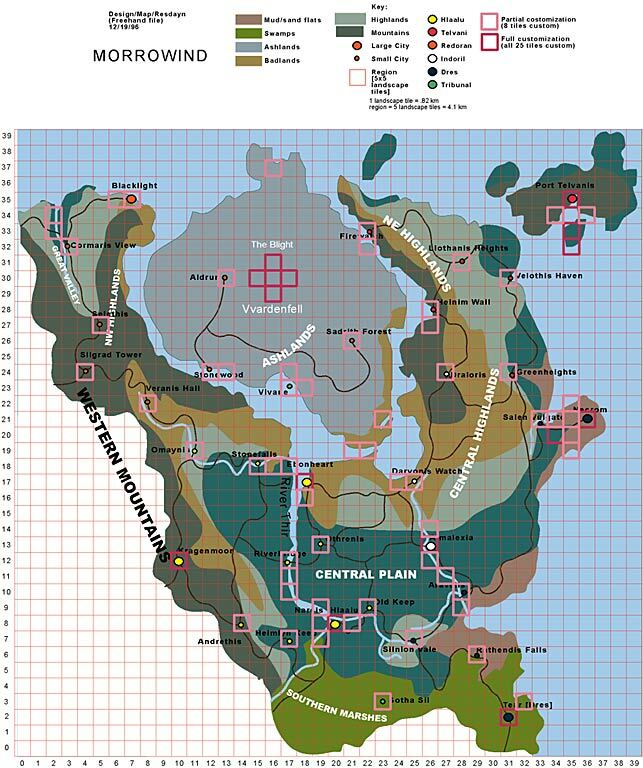 Rather than a royal family that ruled all of Morrowind before Nerevar, you have a major House that exerted a lot of power over central Morrowind. As the author of The Real Barenziah was an Imperial, and Imperials don't have the concept of Houses as such, and Barenziah herself was raised by feudal nobility, I don't think it's a huge leap to say that talk of a 'royal family' and a 'high king' was a misunderstanding of in part roughly 4000 year old history, perhaps mixed with some Imperial porpaganda, Imperials having a motive in propping up House Raathim. It's the same idea as Dunmer talking about a 'House Dwemer', when the Dwemer were never organized as a House and, in fact, appear to have had a king. Similarly, given current Morrowind lore, the idea of Moraelyn establishing his brother S'ephen/Ephen as a god is just silly. My tendency on that one would be to say that Ephen (which should probably be an Imperialized version of his actual Dunmer name) was a powerful ancestor spirit who was widely honoured, or something. That said, I'm not very familiar with the Daggerfall sources, (it's been a while since i read the books), and I have yet to go through them more systematically and iron out my own history/retcon. I can indeed see the contradictions with Daggerfall lore more clearly now, as there indeed was no war before the armistice, even though the Real Barenziah seems to imply otherwise. I tried coming up with an excuse that the reference to burning eyes is how the Numidium was given to the Empire, rather than how it was used to attack Mournhold (yes, Barenziah fled Mournhold, not Ebonheart), but I suspected that it's too convoluted and what the author meant to portray is indeed a full-blown war. With further evidence you just provided, it is now obvious that the war was retconned. Which is weird, as it means that Morrowind lore kind of contradicts itself. I guess the addition of the scribe was meant more as kind of an easter egg than as official confirmation that the Real Barenziah is 100% accurate. As for Bethesda deciding to make Ebonheart an imperial fortress in the final version of the game, it gives off an impression of a last minute thing they decided to slap on the face of Vvardenfell just for the sake of having it. They indeed didn't do justice to the city and changed the architecture and the faction that controls it, and that is the direct result of the decision to cut the continental part of Morrowind from the game. It would be better if they didn't add Ebonheart at all, but what's done is done. So making Ebonheart imperial is probably not as much a TR team's fault as Bethesda's fault. They realize all that themselves, and thus the idea of having two Ebonhearts is used not only in TR, but also in TES Online, where continental Ebonheart is shown as Indoril city, and there is an in-game lore that implies that in the future Ebonheart will be built on Vvardenfell too. I have no objections to having two Ebonhearts and I can even accept the excuse of it being burned or of in-game Ebonheart not representing the entire city (albeit somewhat grudgingly). It's just that I was a bit bothered by this new invented lore, and even if I admit that Daggerfall lore was largely retconned, it is still hard to take this new lore seriously. Still, I'm happy to know that "Ebonheart: A History" was an intentional TR retcon rather than an oversight. On a side note, I don't see much of a contradiction about the Nerevar quote, as he could be appointed by the First Council as a war leader after (and because) he united the warring clans, and that could possibly undermine the power of Ra'athim family, even if it's not a "kingship" in Imperial sence. But I completely agree with your interpretation of cultural misunderstanding of terms and Imperial propaganda. As for S'ephen, my understanding is that he was revered in a similar way as Tribunal lesser saints are revered, the practice of worship to lesser saints itself being a reformed way of worshiping ancestors. So yes, I also think he was a worshipped ancestor. I'm pretty sure that mythopoeia is involved in that one, so I personally don't see it as silly. EDIT: came back here to re-read my arguments and noticed that I kind of confused the War of the First Council with the first Battle of Red Mountain (with Nords). So Nerevarine was appointed as a war leader (Hortator) sometime between 1E 369 and 1E 416, not in 1E 668, and the Ra'athim clan was indeed subordinate to Nerevar ever since Nords were repelled. But my opinion on Mournhold seceding House Mora not long before the War of the First Council, and the quote about the war leader referring to Nerevar getting even more authority ("The Orthodox Houses <...> suffered defeat after defeat until Nerevar was made general of all House troops and levies" - Morrowind:The War of the First Council) still stands. The timelines match pretty well too. Even if "the office of High King had been vacated" is a blatant Imperial exaggeration, and House Mora indeed just exerted a lot of power over central Morrowind at best, prior to that point Indoril was of little significance, and it is Indoril that grew to be Mora's rival (thanks to the Tribunal and the Temple), not the other way around. So yeah, the rivalry did not come "to an end with <...> adoption of Mournhold as the seat of the goddess Almalexia", it only began from that point. So yeah, actual history of Ebonheart is that it was governed by Ra'athim clan of House Mora, then its minor branch in Mournhold declared independence and united itself with House Indoril, then Tribunal emerges and Indoril along with Mournhold suddenly gain a lot of power, overshadowing House Mora. House Mora remains a rival, but gradually loses influence and eventually dissipates, the bulk of it joining Hlaalu. Ebonheart, in turn, is consumed by Indoril, along with some remaining Ra'athim. Then the Empire comes and figures that using Ra'athim descendants within cooperative House Hlaalu as reinstated rulers of Ebonheart and Mournhold is a good idea. The excuse of Ebonheart being burned/otherwise destroyed by Indoril, subsequently rebuilt by Imperials and given to House Hlaalu under Ra'athim leadership is relatively easy to imagine, and is the best solution to the mess of bits and pieces of info that Bethesda made. So the Imperial style of the city is not an issue. I'm only kind of unhappy about the book.